James Toseland set the fastest ever Superbike lap of the Monza circuit to take provisional pole position for Sunday’s two races. Toseland became the first man ever to drop into the 1m45s bracket with a 1m 45.953 lap – an average speed of 122.3mph. After an interrupted opening free practice session where Toseland missed valuable track time due to minor technical problems and ended up fourth. But the 26-year-old Brit completed a solid run of 18 laps during qualifying to take pole from Noriyuki Haga. Speaking exclusively to MCN, Toseland said: “It’s certainly not a bad time for a Friday! We still had a couple of niggling little problems but I’ve got to thank my crew who gave me a really good setting for the front and also Nissin who have brought some new front brake callipers especially for this track. “They’ve given me a bit of extra stopping power which is what this track is really about. “At the start of the session I was out on a hard rear tyre and was pleased because I could pretty much run with Haga who was on a softer tyre. The first surprise of the day came from Alto Evolution Honda rider Karl Muggeridge who ended the session in third spot. 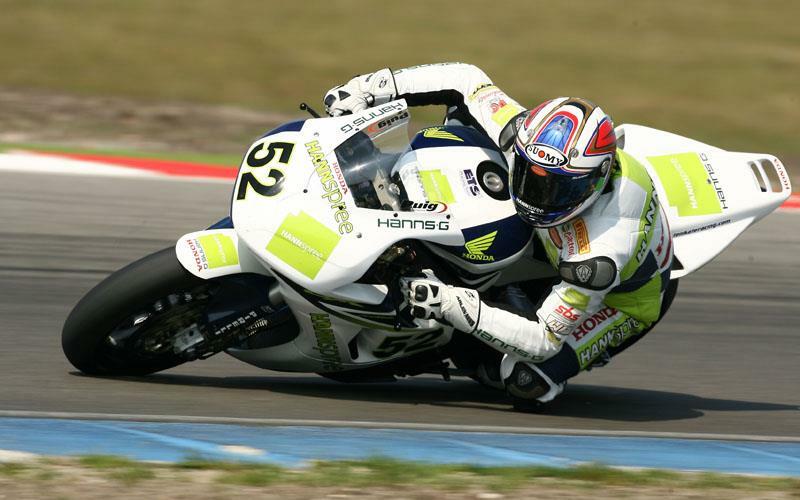 Muggeridge is a Monza expert especially when he raced in World Supersport and has clearly transferred his pace into WSB. Fourth place went to Regis Laconi who showed the Kawasaki has plenty of speed with the second Alto Evolution Honda rider Josh Brookes in fifth. Ruben Xaus once again looked lose and rapid around the Italian circuit to secure sixth, one place ahead of factory Ducati man Troy Bayliss. Toseland’s Ten Kate Honda team-mate Roberto Rolfo continued his strong form by posting the eighth fastest time, one second off pole to round out the second row of the grid.